Given how much we rely on labels every day, label design software needs to be easy, flexible and precise. As goods labelling becomes more important in industries from retail to logistics and catering to health care, you’ll need an easy-to-use solution. To meet efficiencies products must be tracked, identified, stored and shipped effectively. We can provide you with label design software that will give you the ability to produce on-demand customisable labels to meet all these requirements and more. Up to date information from your database can be utilised with label design software to produce high quality labels for compliance, shelf-edge labelling, branding or pricing information. 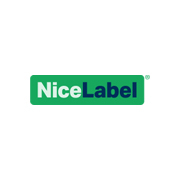 NiceLabel is the leading provider of labelling solutions for business and enterprise. The product range includes label designers, forms and automation solutions. NiceLabel’s forms and automation solutions create maximum value by helping organisation eliminate printing errors and downtime.